The real-time strategy genre has undergone quite the transformation throughout time. Seemingly gone are the days where games require that you focus on strategy, often replaced by experiences that reward combat ability and quick clicking. Petroglyph Games aims to right this with Grey Goo -- a title that will try to put the "S" back in RTS. The way that Petroglyph intends to do this is by forging the most balanced game that it possibly can. 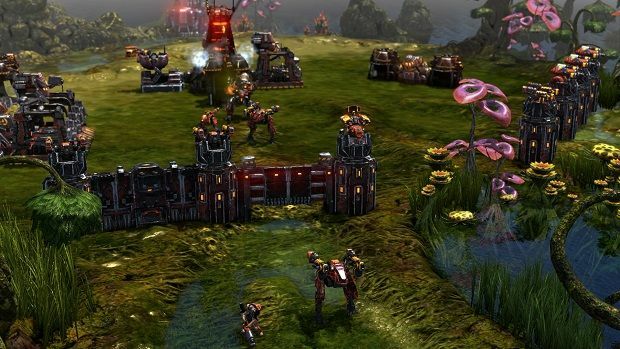 Grey Goo will put equal parts emphasis on economic management, base-building, and strategic combat. Over-reliance upon any of these three facets won't necessarily result in sure victory; it could just as easily result in sure failure. If that sounds complicated, that's because it might be. However, Grey Goo won't necessarily overencumber the player with weighty mechanics. Everything's relatively straightforward and basic as far as commands go, most of it mapped to the mouse and QWERT keys. Again, it's the actual strategic approach that's going to trip most people up. To accommodate different styles, Grey Goo features three completely distinct factions to play as. The Humans are, as the developers called them, a "base-builder's dream." They are defined by a central hub from which they must build outward through conduit lines. Serving as the slowest and least aggressive of the races, Humans are "the masters of teleportation," as they're able to move structures and units around with ease. This makes Human bases particularly difficult to infiltrate. The faction that serves as a middle-ground of sorts is the Betas. The Betas are a combination of base-building and offensive attacks -- a fairly agile group that can build several production facilities. Anyone playing as the Betas will probably find themselves producing more units than buildings, as it suits their strengths. Players could find themselves overwhelmed with the idea of keeping track of the scattered nature of this race, but Grey Goo implements a system that doesn't require the player to choose the specifics of creating new units; it'll automatically select the most efficient place and create them for you, unless you say otherwise. It's a touch that focuses more on macro- rather than micromanagement. But the most intriguing of the races is the titular one -- the Grey Goo. The Grey Goo is a nanite blob that can split itself into smaller blobs as you see fit. It's (They're?) characterized by being extremely mobile and aggressive, the type that will rush head-on into enemies and consume them from within. As it hovers over resources, it gathers them, growing the Goo only to be broken off into more units. One of the Grey Goo's interesting features is the way that it uses verticality within the environments. For instance, if a group of units is up on a cliff, it can attack downward, but others couldn't attack up. The Grey Goo completely negates this. It rolls over hills, through trees, across rivers -- wherever it wants, really. Natural barriers that would be hinderances to the other two factions aren't even an inconvenience to the Goo. RTS players often have a tendency to become intimately familiar with one faction and stick with it. You can't help but feel like each race in Grey Goo is unique enough that doing this would be a disadvantage. Anyone looking to play the campaign will need to acclimate themselves to all factions, as over the course of fifteen missions, you play as each type. 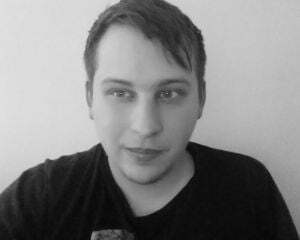 Petroglyph hopes to get back to the golden age of RTS games with Grey Goo, and that might happen by creating something that's supremely different. Balanced gameplay, three unique factions, and putting an emphasis on "strategy" rather than "real-time" is the technique that Petroglyph's going to employ. That's crazy enough to work, because out of the gate, it's poised to be a game that's endearing to fans of the genre.